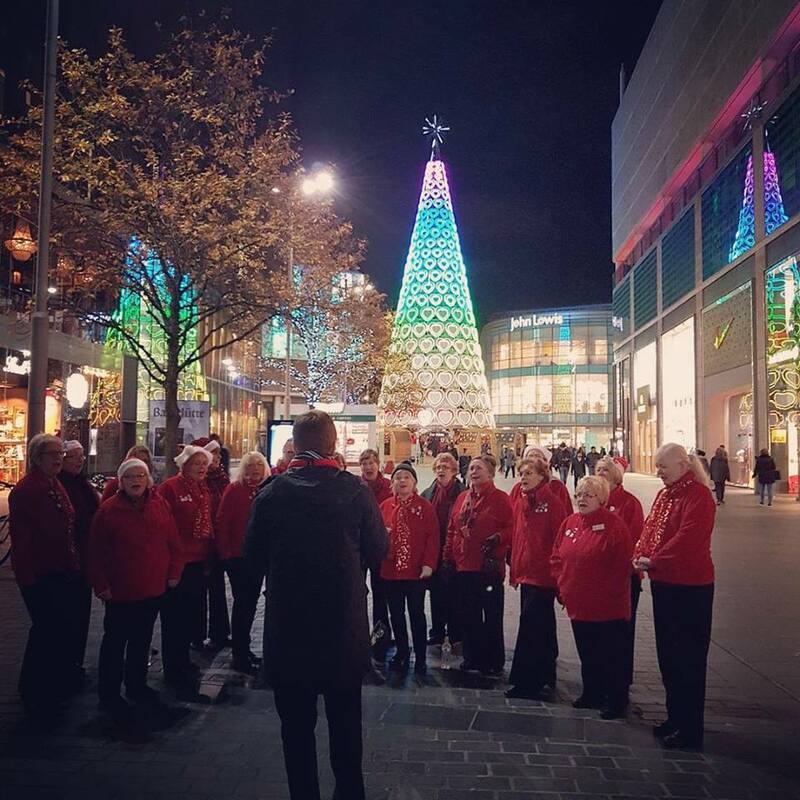 On a very cold November evening, Mersey Harmony sang our wonderful Christmas repertoire to entertain the shoppers at Liverpool One. 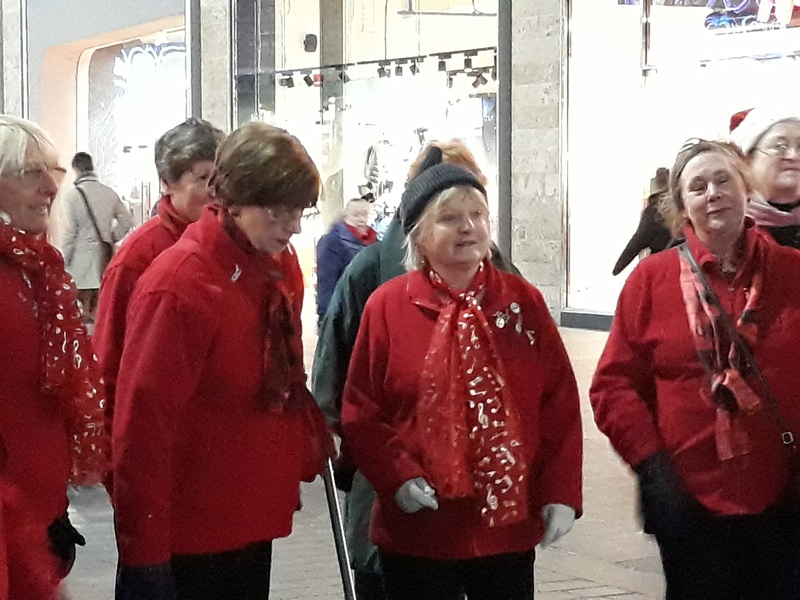 Despite the cold we were well received and look forward to repeating the event in 2018. 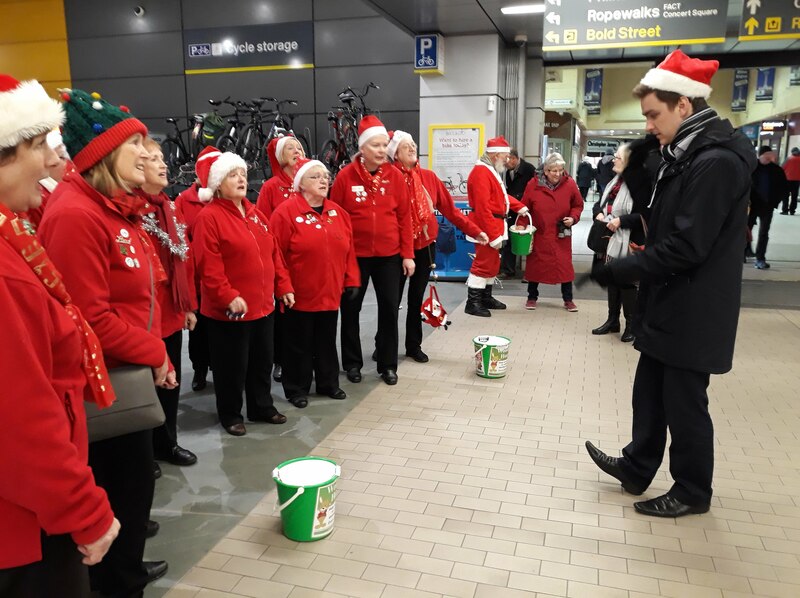 On 8th December we sang in Central Station as commuters were coming and going – and stopping to listen. 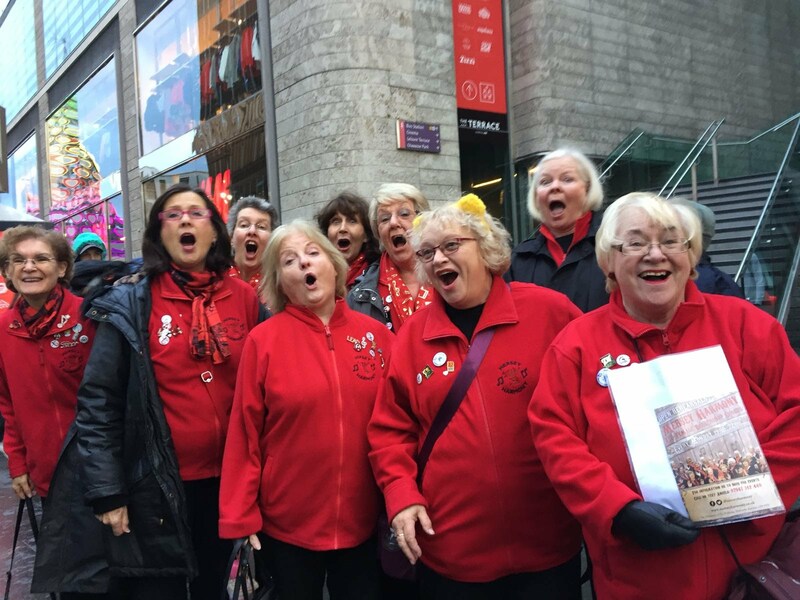 This is an annual event when we sing to help raise funds for Woodlands Hospice. 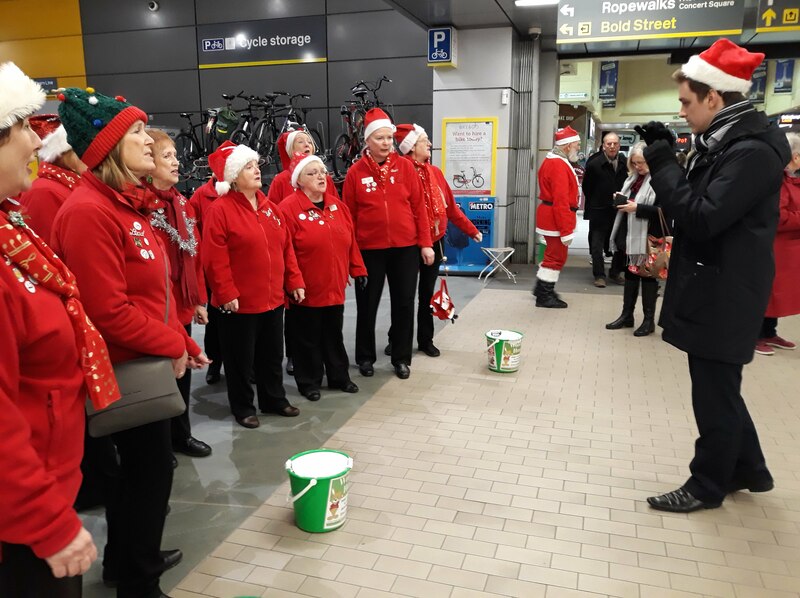 A great atmosphere in the station and a goodly amount of money raised for this very worthy cause. 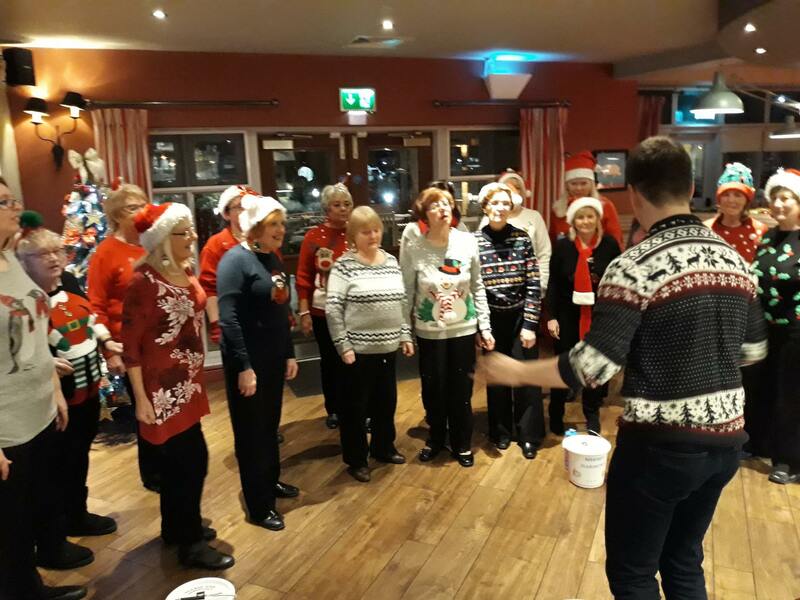 Our last sing out for the Christmas season this year was at Vikings Landing pub on the East Lancs Road. 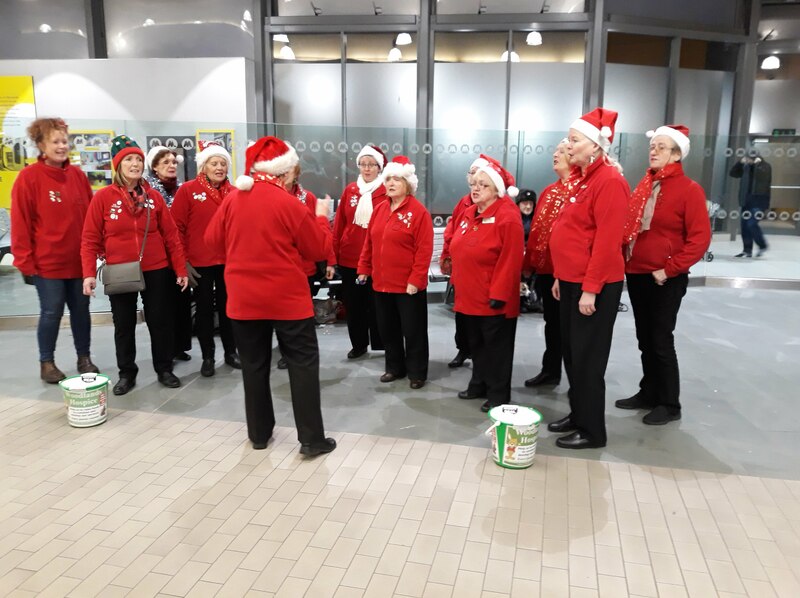 They were hosting a Christmas market and Mersey Harmony entertained. A very enjoyable event.